2 Beds 1 Bath 695 Sq. ft.
Best Buy on Longboat Key. This is it! Investor and 2nd Home Buyer Alert! Best Buy on Longboat Key. 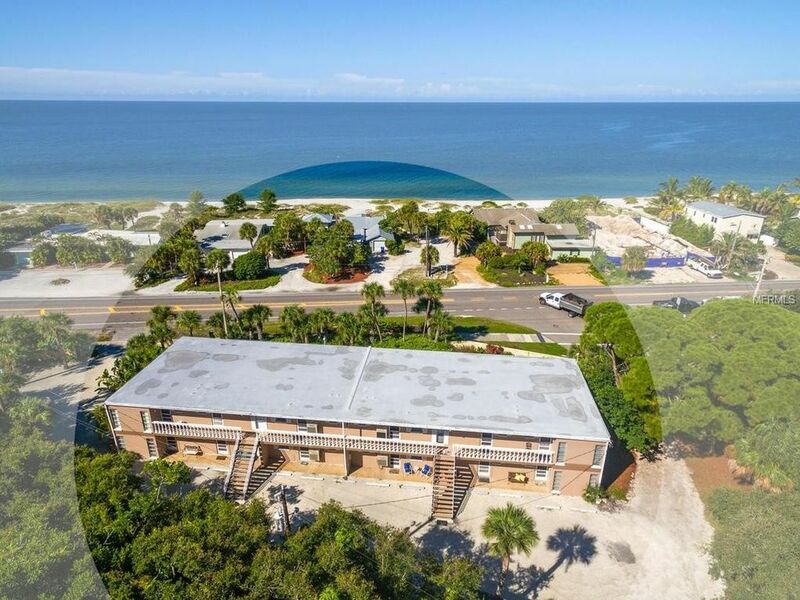 This rarely available 2 bedroom End Unit Condo is literally steps from the crystal sands of Longboat Key Beach Access. Enjoy this perfect island location with easy access to grocery, fine shopping and dining with the secret maintained pathway behind the community. This well-maintained turnkey furnished unit shows pride of ownership at every turn with crown molding, updates throughout, lovely tile floors and sliders to a roomy exterior screened lanai and new composite outdoor deck. Decorator touches throughout. Perfect for renters or family getaways. One large or 2 small pets allowed. What could be better than a sunrise or sunset walk and returning to your own Longboat Key Island Home? One of the lowest HOA fees on the island. Easy to Show & Priced to Sell so make your offer now! Directions: Take Gulf Stream (John Ringling Causeway) to St Armands Cir. Take the 1st exit onto N Boulevard of the Presidents. Continue onto John Ringling Pkwy. Continue onto Gulf of Mexico. 2850 Gulf of Mexico Dr. is on the right side just north of Publix.